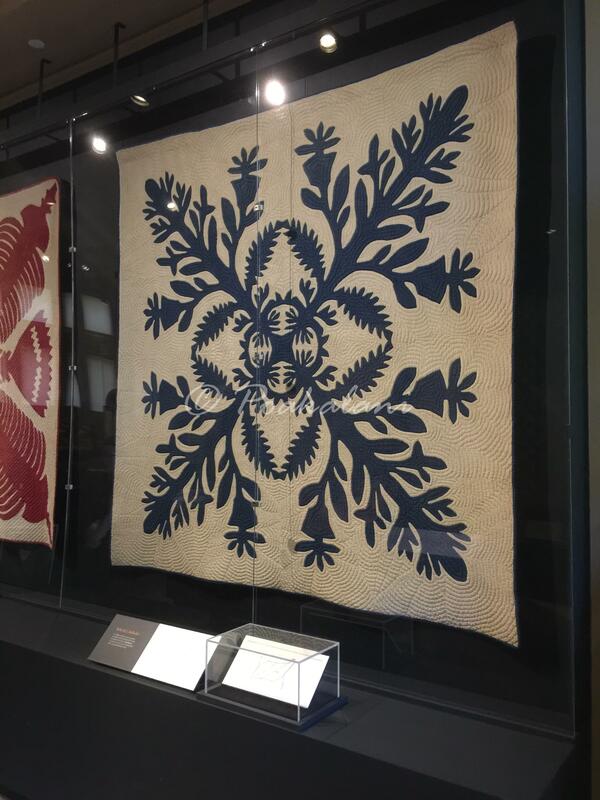 June 2017 - Hawaiian Quilting With Poakalani & Co.
And the Hulia Ano Exhibit… what a great day. 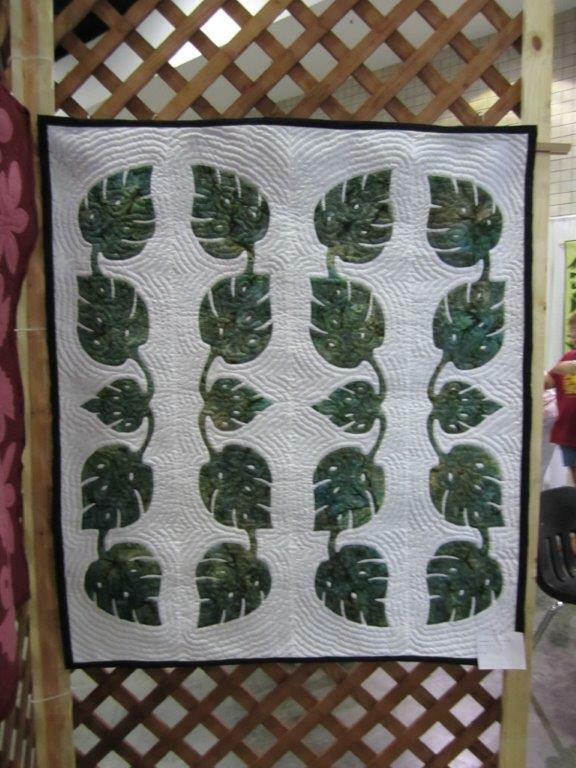 3 quilts on display. 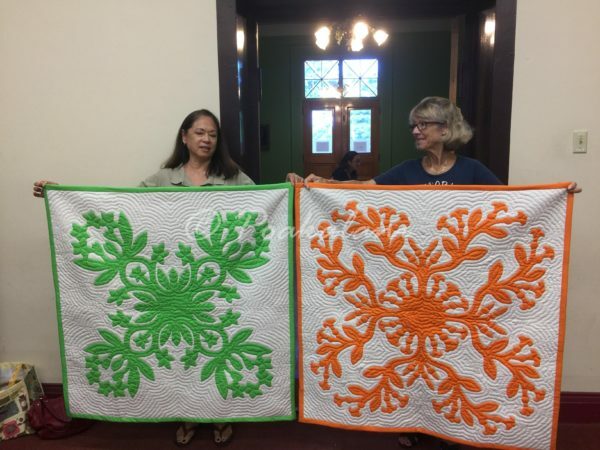 One of the Best Quilting Instructors I Know. 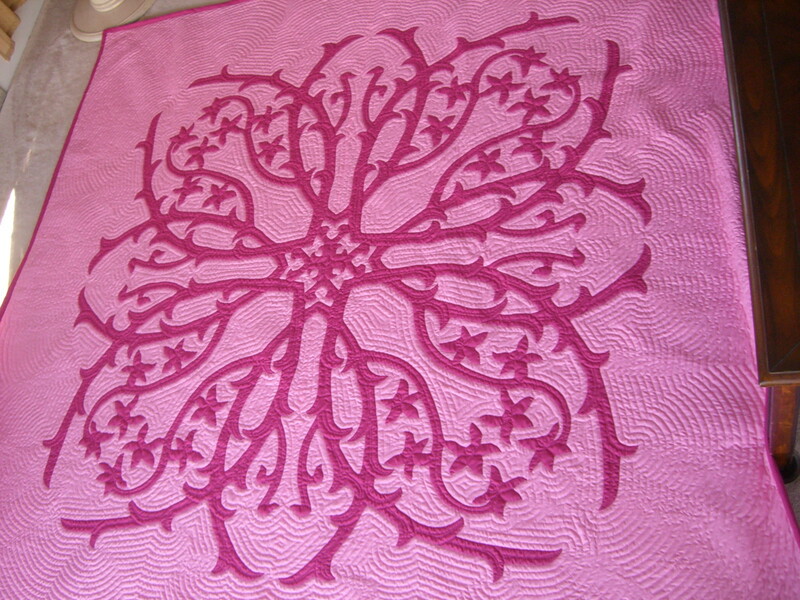 45" x 45" Quilt Designs, Design First, Quilters Comments Off on One of the Best Quilting Instructors I Know. 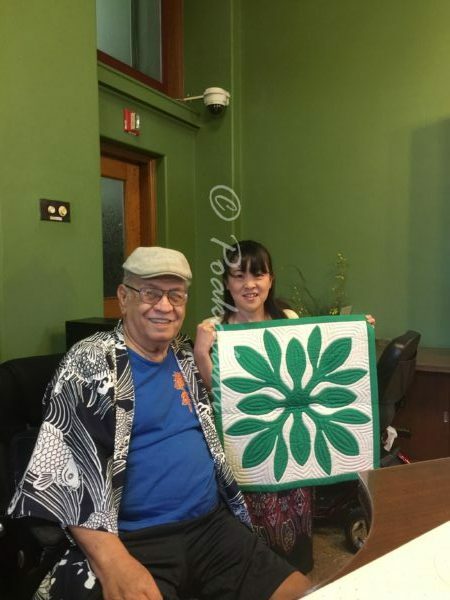 Tomiko lives in Kobe, Japan and we had the amazing opportunity to meet 20 years ago when she first started attending Poakalani’s Hawaiian quilting class when we were teaching at the Queen Emma Summer Palace. 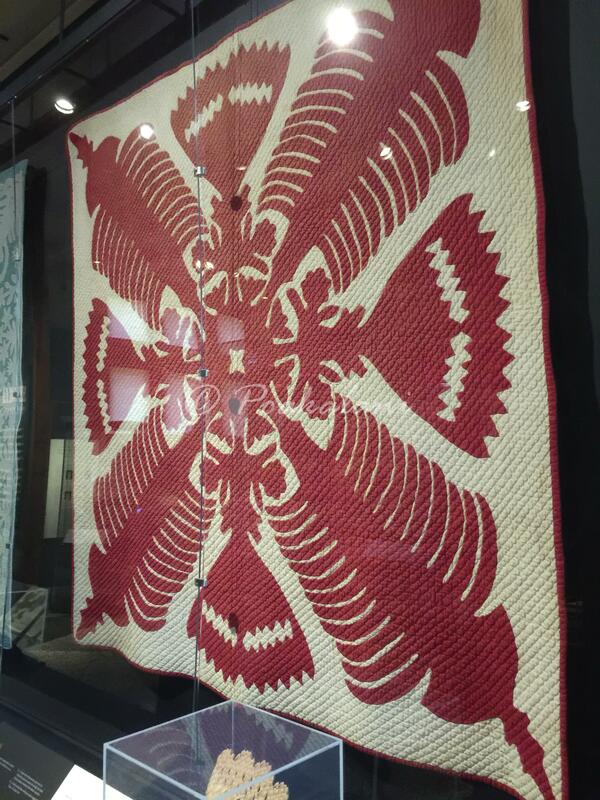 I am honored and humbled to call Tomiko my sister of the heart. 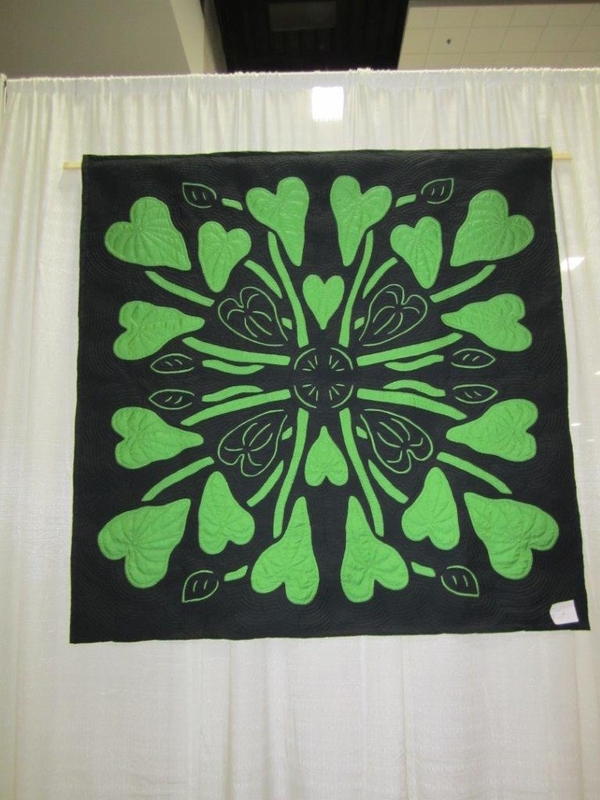 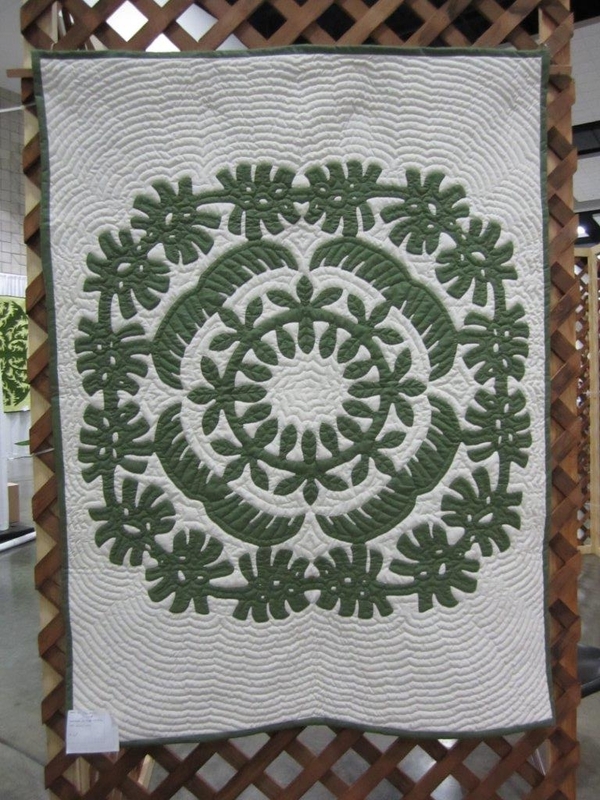 She is one of the best appliquer and quilter of Hawaiian quilting. 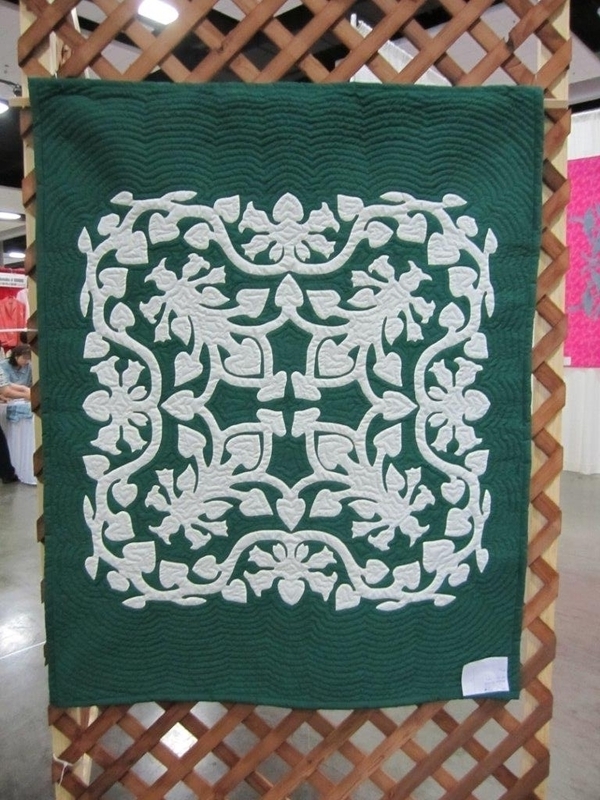 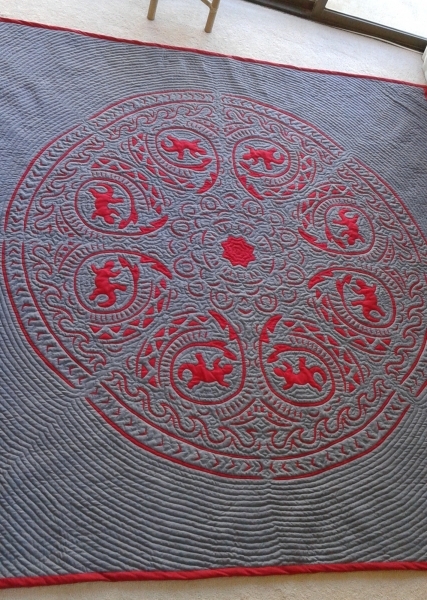 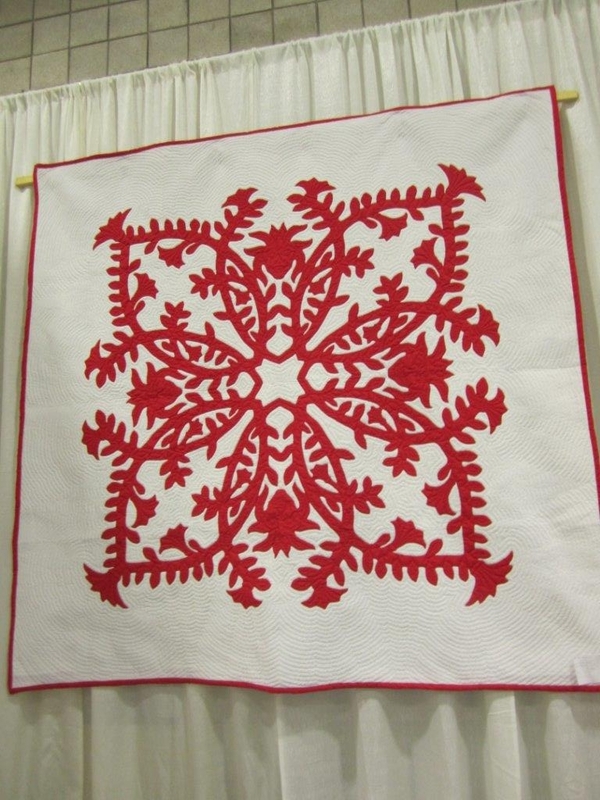 She is also known for her binding and unique quilting lines that she uses to enhance her quilts. 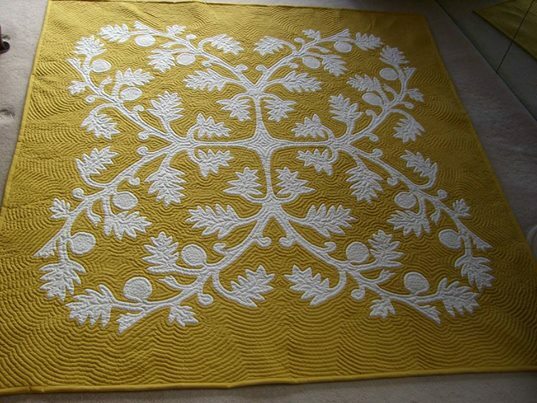 If you ever have a chance to take classes from her you can say you are learning from one of the BEST. 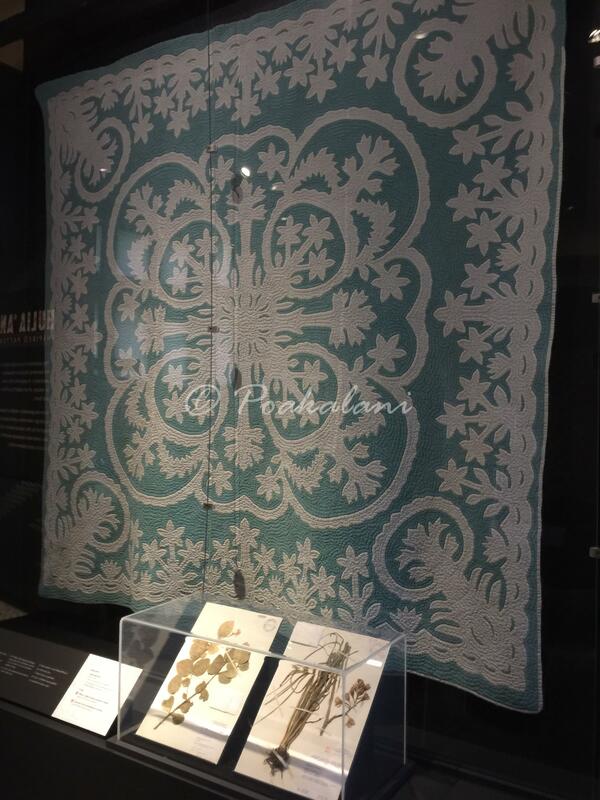 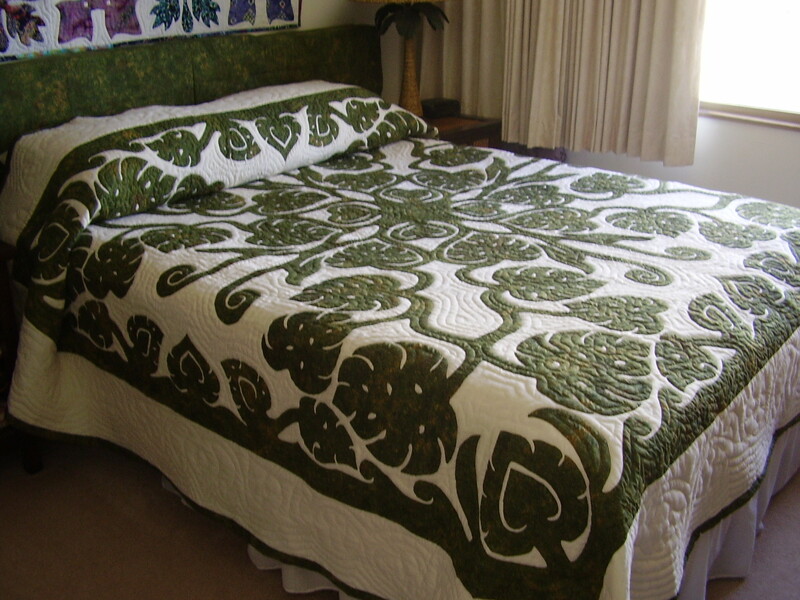 Many Hawaiian quilts tell stories of legends, births, favorite flowers, and even historical events. 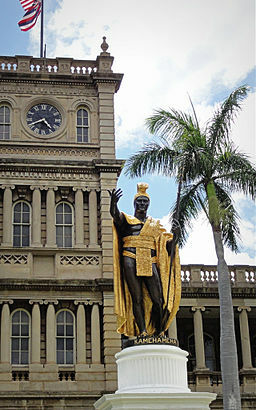 Some conveys hope. 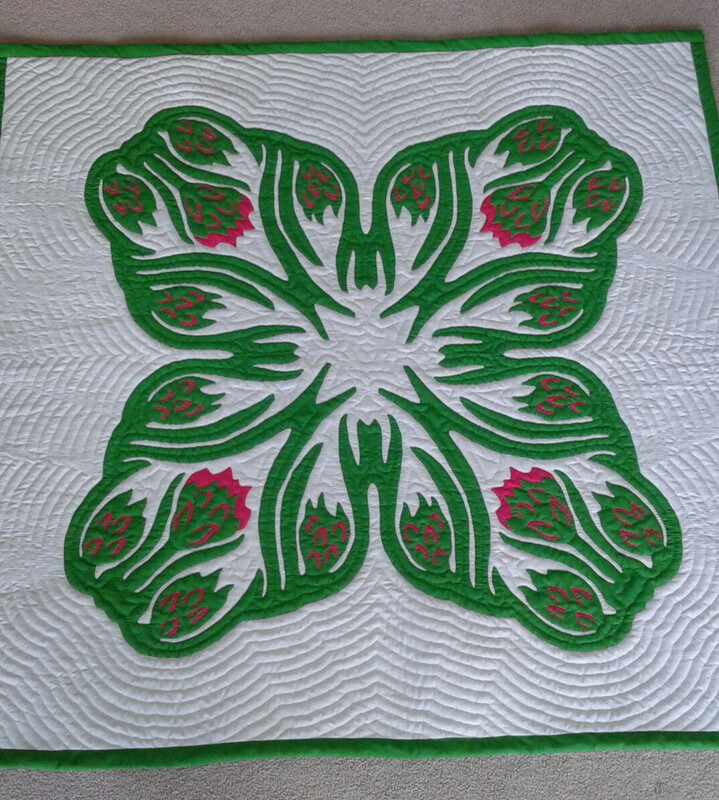 This quilt was designed and quilted by my sister of the heart for John who is going through some difficult health issues. 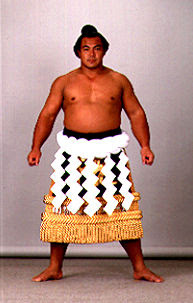 Designed with some elements of the Sumo Yokozuna wrestlers attire it’s Kumu Kimi’s wish that it will bring hope and healing to John. 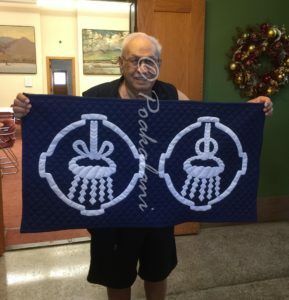 Thank you Kumu Kimi for such an awesome gift of the heart and may it not only ease his pain but comfort his soul. 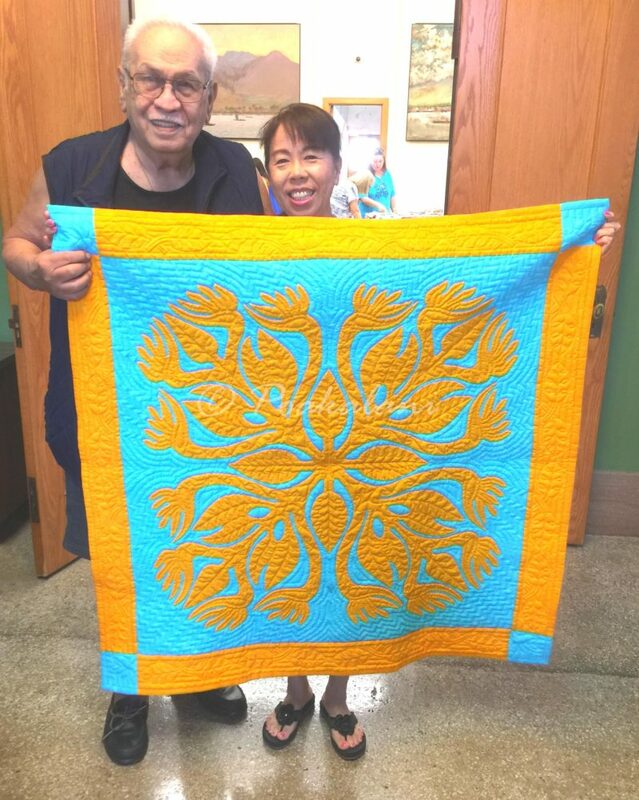 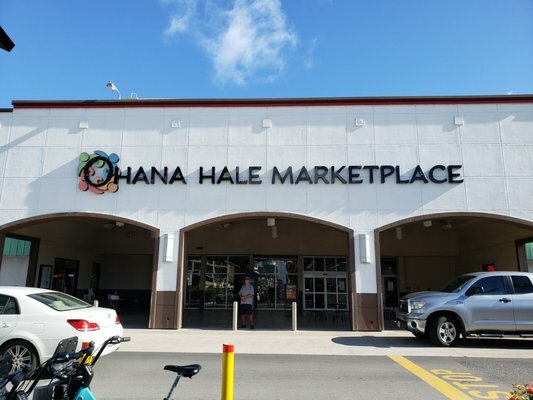 So PROUD of the Poakalani Quilters. 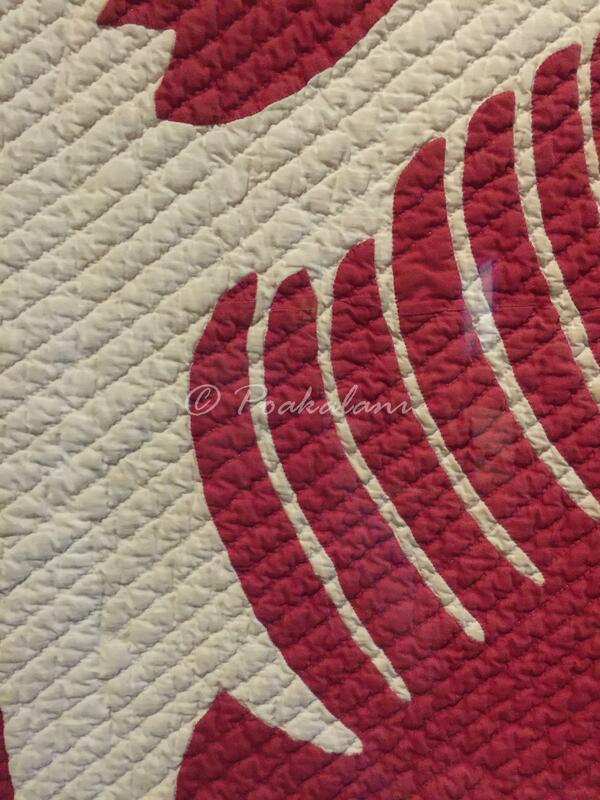 45" x 45" Quilt Designs, Design First, Quilters Comments Off on So PROUD of the Poakalani Quilters. 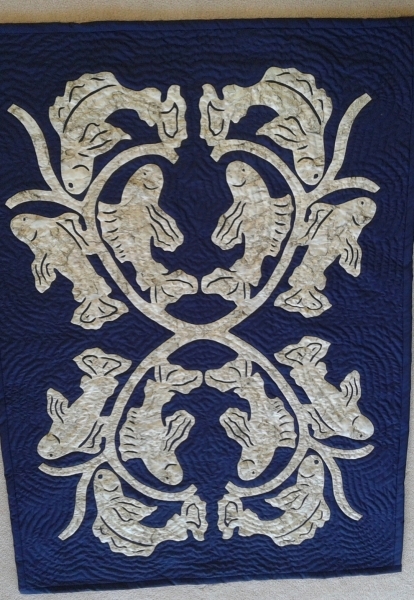 More commissioned quilts by Pat.